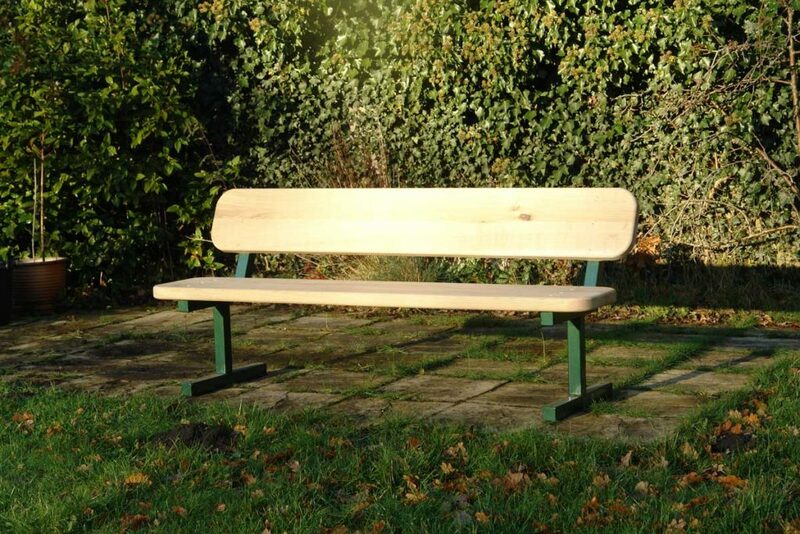 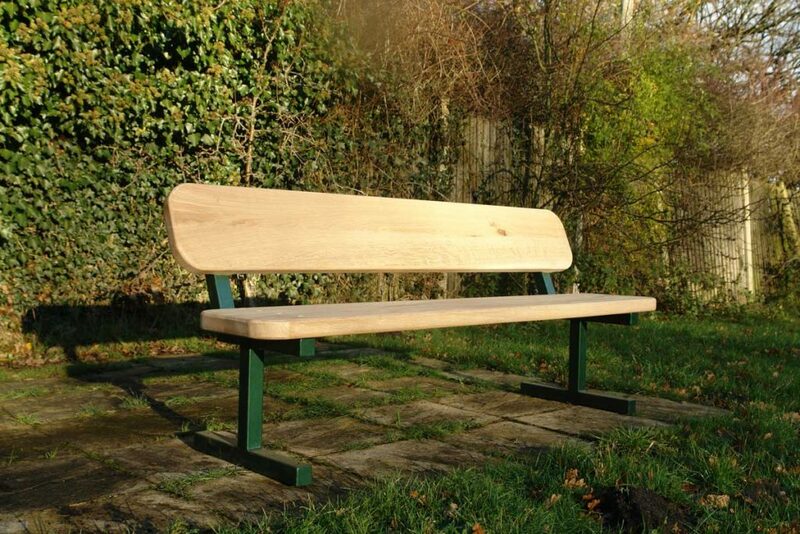 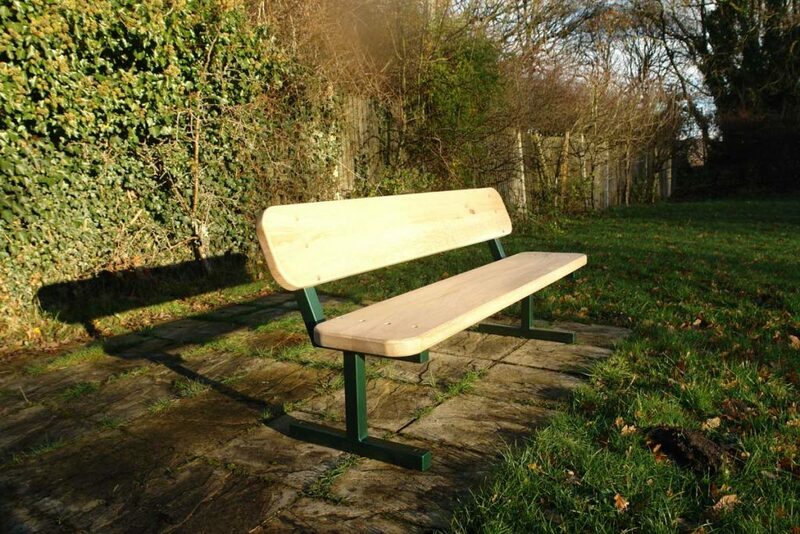 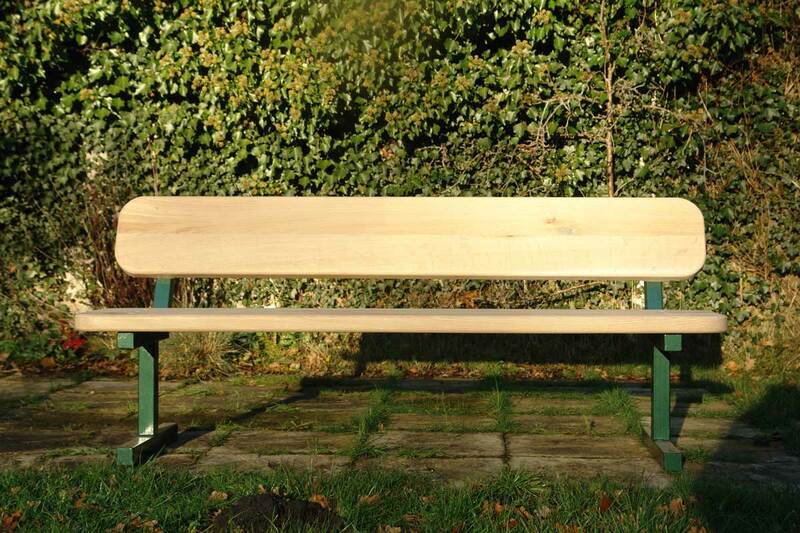 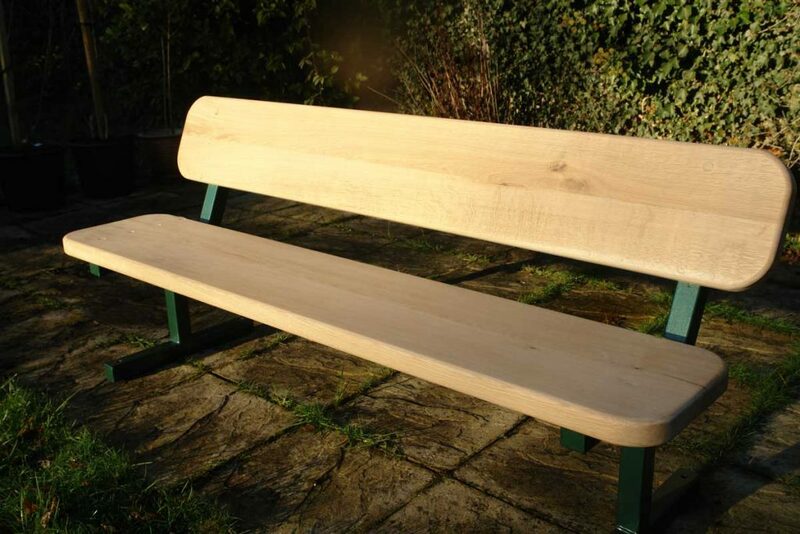 This is a one off bench made using re-purposed heavy box section powder coated steel legs. 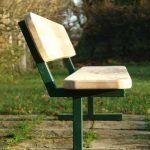 Clean simplicity with two chunky slabs of oak forming the seat and backrest. 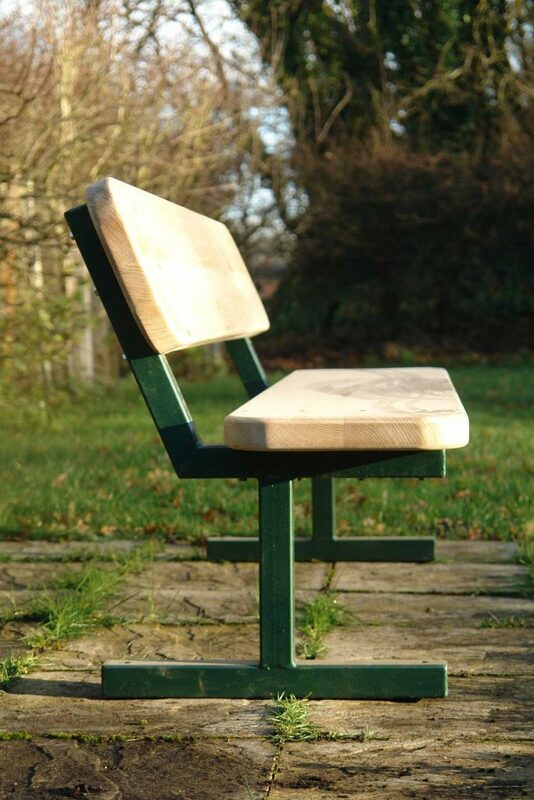 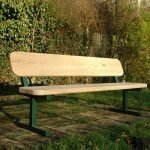 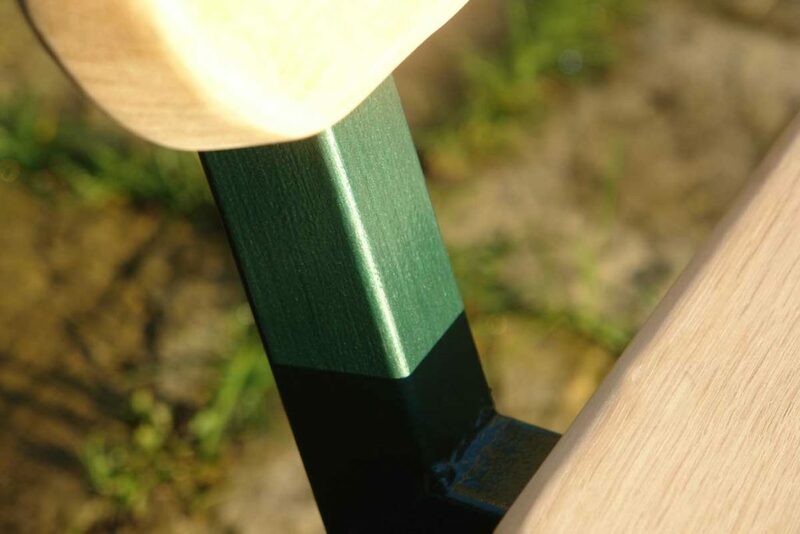 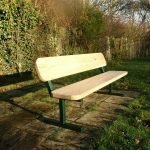 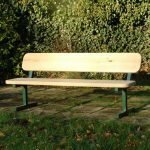 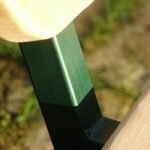 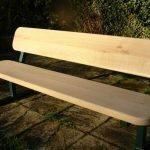 This extremely robust yet highly elegant bench has metal pedestal legs are Hammerited dark green and have holes through the base if fixing to a concrete base is required although it does fee stand as well.